Private collectors are resurrecting the unique art of stone-cutting in Russia, helping the historic discipline to thrive in the modern day. 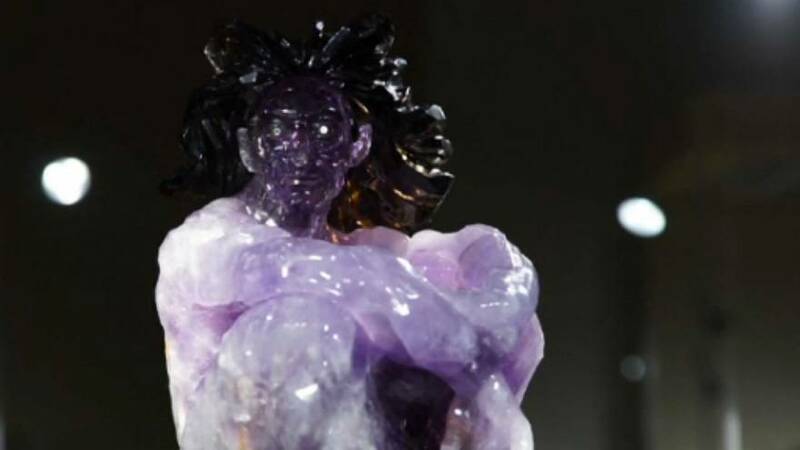 The Shmotyevs, who live in the town of Yekaterinburg, have amassed a collection of statues made from semi-precious stones using the so-called "volume mosaic technique". The pieces differ from solid stone statues in that they are made of fragments of different stones, which have been carefully selected to match in colour and pattern and then fitted together. Semi-precious stones such as hematite, quartz and marble are among those used. "It is difficult not to deal with this kind of art, not to collect it, because it makes you love it”, Aleksandr Shmotyev, the curator of the family collection, told AP. Art historian Lyudmila Budrina said the volume mosaic technique “has existed in Europe for quite a long time, and the history of this type of stone-cutting art has lasted several thousand years — but it has had its ups and downs."